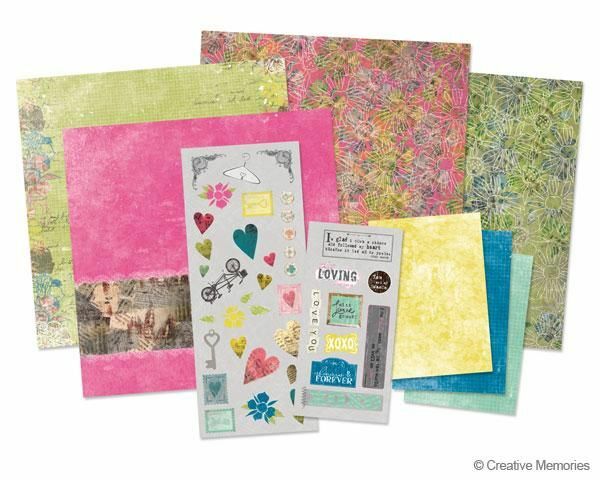 I hope you had a chance to look at Creative Memories new January/February mini-catalogue I linked to the other day (if not, check it out by clicking here). I promised I'd share a few of MY favorite products and give you a little more info on them so let's get right to it with my top three! I love that CM has partnered with Cricut to design cartridges that coordinate with the various product lines. The Cheerful Seasons cartridge coordinates with the Cheerful Power Palette; the Reminisce Accents cartridge is a perfect match with the Reminisce collection; the Stork's Delivery cartridge works with both the Fabulous Baby Girl papers AND the Rugged Baby Boy products; the Tis the Season cartridge was designed to match the Holidazzle AND the Noel Christmas product lines, and the Traveller cartridge features versatile images that will work with a variety of travel and vacation themed products. Now CM is introducing their sixth cartridge, This & That! It features a variety of images, many drawn from CM punch, digital and power palette designs. You'll find everyday, sports and seasonal icons and FOUR font choices. This will be a very useful cartridge and I can't wait to have our Calgary Crops ladies play with it at our next crop on January 21st. I hope you can join us so you can play, too! Get all the details and registration info here or contact me to register. 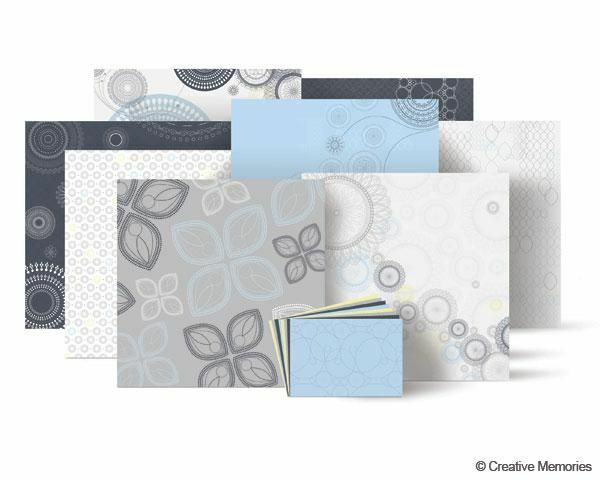 Like most scrapbookers, I am addicted to yummy paper designs and CM has quite few new ones that could feed my addiction. The Shine Collection is subtle yet luxurious in shades of cool grays and blues, with touches of silver foil. And there are beautiful coordinating albums, die cut papers and embellishment in this collection as well. 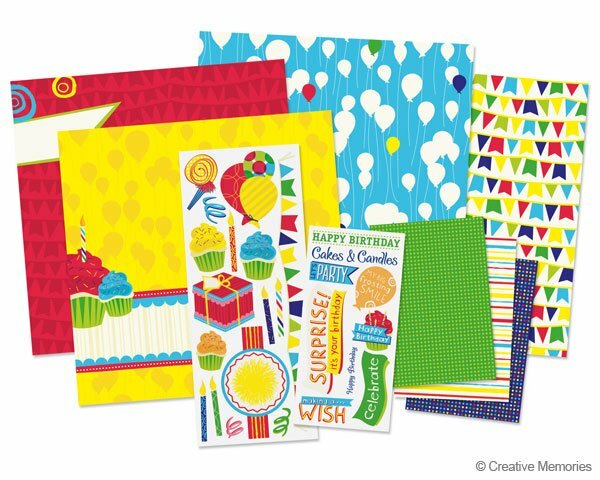 The Cake and Candles Addition is perfect for birthdays, but it's bright and cheery colors will work for lots of other events, too. 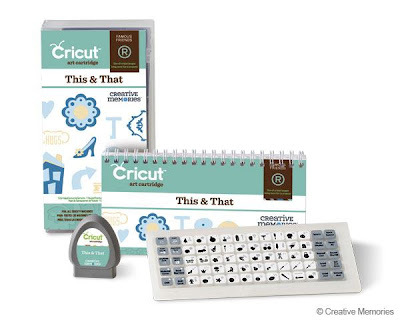 CM has also featured these fun desings on two other products - an Everyday Display Accents and a set of Photo Album Accents. The newest Nancy O'Dell collection doesn't dissappoint either - it's called LOVE, and I'm sure that you will "love" it! It features a vintage feel with colors that are great for both ladies and gents. The Love line includes the 12 x 12 Paper Additions, an 8 x 8 Album and Album Kit, a Mini Display Accents, and a beautiful Simply Said Book that would be a perfect valentine gift for someone special. I love my Everyday Display and last year I created my own calendar to feature on it. 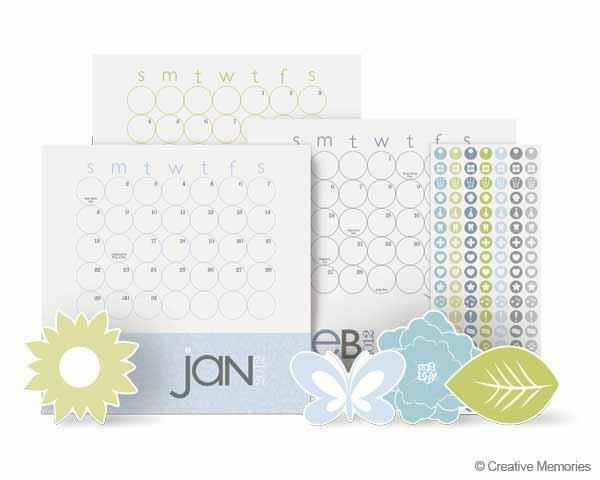 This year CM came up with a beautiful pre-made 2012 Calendar Display Accents that I will definitely be using! But I may have to use my Everyday Display to show off the new Welcome to Our Home Display Accents instead! This is gorgeous and it's REVERSIBLE so you can change it up throughout the year! After seeing some of these items, what is YOUR favorite must-have new item? I'd love to hear your comments!